Nose:big round soft berries and poached brandied pear smells (really!) Unique for Merlot but interesting. Oaky vanilla. Palate:huge rich core of peppery cedar. Well balanced with prominent acid and very soft tannins. Overall: an elegant and subtle Merlot. Unpretentious when decanted and soft on the palate with simple yet elegant flavors. Palate:richly tannic with vanilla. cherry cola notes. Slate. Finish: stony, vanilla comes through to the finish. Overall: decant this wine. It is still young and tight but quite wonderful and smooth. It is a decently priced Nebbiolo and will age nicely as well. Eyes:Red Brick in the glass, definitely showing maturity. Nose:Leather, cedar charcoal, cola and cherry layers. With time and decanting the cola emerges with cedar and vanilla. Over more time dry tobacco comes out as another layer. Delightfully fine nose. Palate:Tight tannins but layered. Needs decanting. Air opens up with even tannins and a solid back with a very nice silken feel. Finish: even old world finish. Some cedar and vanilla reemerge with the predominance of fruit coming out here. Overall a fine Barolo, richly layered from a good year. Palate: full bodied, buttery, strong acid core. Expertly crafted and balanced. Finish: smooth and rich with some green lingering afterthoughts. Overall: The 2005 vintage is better for the character of the wine. This 2006 has the same expert crafting and rich flavor without the exceptional 2005 chardonnay varietal character. Nose:Floral grapefruit nose with the acidic citrus dominating. Cedar notes. This is a late harvest "Vignoles" grape wine (1/2 bottle) that is light straw with sweet spice on the nose. (NW) brought this up on a recent trip. On a recent trip out to L.A. my wife brought me back this 05 Bordeaux. It was $20 at BevMo and has nice deep garnet color that carries to the rim. Nice rich berry aromas that appear new world but, of course, are not and reminds me of a Barolo. After breathing 2 hours the wine is still a bit harsh and a little tannic. It is meaty, smokey and somewhat austere with a spicy finish but licorice up front. After four hours of air though the wine is fully integrated, balanced with nice berry fruit and a very nice inexpensive Bordeaux (Cru Bourgeois from the Cotes De Blaye) so raise a glass. On the hunt for 05 Bordeaux bargains I grabbed this thinking it was probably a "second" label of the big (and expensive) Chateau named "Cheval Blanc." I paid $12 for it and it is a pretty garnet/cranberry jam colored wine with bright fruit bouquet of nice fresh cherry and berry under layer with some pepper, spice and some nice earthy tones. The palate is quite integrated except fro the tannic foundation which needs a another couple years. It is a sophisticated wine approaching elegant but needs decanting. With an hour of air, the wine turns into a complex bargain where licorice nose turns into bold evergreen aromas. In the mouth the evergreen flavors carry on through with plenty of ripe fruit. Forgetting the puckery tannins, this is a NICE wine and a value at $12 so raise a bottle! Black cherry hue with big nose of inky ripe black cherry fruit and plum with dark chocolate. Palate has nice flavors of black berry and baker's chocolate. Was better two days after I opened it and paired well with rib eye steak on the grill. I paid about $8 for this wine on sale and it was a decent value so raise a glass. This favorite of mine stands up to be chilled and even still the huge peach and apricot aromas are big. It is a pretty crystalline golden in the glass. In the mouth the wine is full of peach and apricot nectar on a crisp palate that hangs on a bit. My perennial Summer pal! Raise a glass for around $9. This Argentinian Chard is lightly golden with buttery chard fruit and a note of light spice. Nice! In the mouth this wine has nice varietal flavor, and is crisp, crisp, crisp. It is lightly citrusy with some really nice though subtle pear and apple notes with a finish that doesn't quit. My tasting notes said--"What a prize!" Purchased at the New Hampshire State liquor store where they run sales on certain countries when you buy wines (mix or match) by the case. So with a 15% discount--and no sales tax-- this wine was around $8. Raise a glass and then some! This is a huge, ripe wine. It has extremely ripe fruit flavors and layers or rich berries throughout. With all wines in this ripe, opulent style, you must be ready for it. In other words, know what you're getting in to. For $20 or so, there isn't a bigger wine from McLaren Vale. Hope you're in the mood for this when you pop the cork. Raise a glass! To me, this wine is an old friend. I've enjoyed it for the past six years or so, and the price has hardly crept up. While I often see it priced in the high teens, I typically pay about $14 or so. It's not a dark, brooding Cab but rather a wine built on red berry and cherry flavors. When you're looking for such a wine, this should fit the bill. And it's from organically-grown grapes to boot. Not a blockbuster, but rather this wine shows smoothness and rounded flavors. Raise a glass! This wine is straw colored with a very gentle bouquet that is almost lightly floral with a hint of spice and some sweet powdery fruit that eludes my identification. Unfortunately, the intrigue of the bouquet does not carry thorough to the palate and this wine is structurally weak with weak all around character and flavor. You get what you pay for frequently with wine but that does not mean that a structurally sound wine cannot be expected for little money. This wine is just disappointingly flaccid. Raise a glass of other 06's and look for some bargains from Germany in this vintage. This tasty rose is from Vaucluse, France (southeastern France) and is a very pale watermelon juice color that is quite pretty with a strawberry bouquet to boot. This wine has a really edgy foundation for a rose making it a pretty good pairing wine that would stand up to a pretty hefty (relatively speaking) dish. It tastes of fruity strawberry juice that is gentle and yet fairly bold in character. This wine is pleasant by itself or as I stated, would pair pretty well where a rose might not otherwise stand up. For $8, this is a solid rose so raise a glass! Last Summer in Chicago I bought a bottle of this and had it that night. I had just started to grab the inexpensive 05 Bordeaux looking of for some bargains from this great vintage. This wine was supposed to be $18 according to one of the store clerks but for some reason which he couldn't explain it was $10. I didn't expect much but then the 05's were just starting to hit the market and I didn't know what to expect. I was blown away at how good this wine was so I went and bought one more to take on the plane with me back to Maine. I opened this the other night with friends. It is light purple to black cherry with a chocolate foundation with nicely balanced fruit, leather and spice. In the mouth there was an initial but fleeting blast of cinnamon that was wonderful on top of a solidly crafted wine flexing its muscles; it needed to be breathed. Surprisingly, 3 hours of air didn't do anything to relax this wine and really needs another 1-2 years on the shelf. This is just a great example of Bordeaux style even at a ridiculously low price. As I have written before, grab the cheap 05's you find and give them a swirl; you WILL find a bargain or three in your journey so raise a glass! This Sonoma Zin has a pretty glistening black cherry hue with rich berry and Zin wildness in the swirl. Palate: nice texture with a bold presence and big dark berry flavors and a subtle chocolate finish. This wine is a little chewy (meaning it is just young and needs another year to its prime but is a good example of zinfandel. Rancho Zabaco is producing some quality Zins these days but read the labels carefully as they produce several versions of the grape. (See my review of the 05) and raise a glass. Purchased on closeout for $5 (hey--sometimes you can find a real bargain) but this wasn't one of those times. Purple hue with a presentable bouquet of some presence with dark berry fruit and a gentle cinnamon note. In the mouth it is hot, harsh and even the touch of licorice can't help the thin fruit and watery texture of this liquid brew. Pass on this one. Pretty black cherry hue with a beautiful cherry aromas with a little cedar or spice. Nice pronounced aromas of black cherry fruit and leather but a nice sturdy value. this is a good example of Bordeaux. At $11, raise a glass. This Chilean (Maipo Valley) is a super value at $8. It is pale with a big bouquet of classic Sauvignon Blanc grassiness with sweet lively fruit. In the mouth it is lively with good acidity, bold citrus with off dry tastiness. This is hard to beat so raise a glass! This blend from the kings of value wine is a blend of Syrah, Sangiovese and Cabernet Sauvignon. It is a light medium garnet hue with a confused nose of black cherry/berry /strawberry with milk chocolate after it opens. In the mouth the wine has bold flavors up front that fade quickly. It is somewhat odd but drinkable being made in the popular style of a somewhat sweet palate. 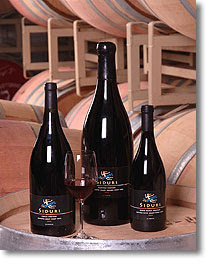 Syrah is the predominant characteristic. Light up the grill and throw on some burgers with this wine and raise a glass. From the king of Zins comes this stellar example of an American classic. Medium to hefty garnet with a tinge of purple at the rim. 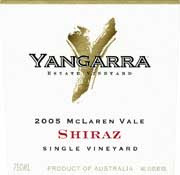 The bouquet has gobs of ripe plums, black berries and an emerging note of coffee below the fruit. In the mouth the wine is deeply sweet and lush with velvety tannins that caress your tongue. there is a black licorice note with currants in the rear and a lingering finish accompanied by baker's unsweetened chocolate at the rear palate. If zinfandel is your thing, this is your wine! It is simply delicious and at a $30 price point, you have to splurge now and again. This wine is a real treat in good years, and the 2005 tastes quite good. It's ripe, fruity, rich, a bit jammy, but also polished. I like to think of this wine as an alternative to a Napa meritage or blend. It shows what can be produced in the up-and-coming Paso Robles region. Prices for this wine tend to be in the $60 range. Raise a glass! I like the Chateauneuf du Pape wines I've sampled from recent years. Many of them are loaded with fruit and spice. Chateauneuf's generally have a unique quality and are based on a unique tradition of blending many different grapes including Syrah, Mourvedre, Grenache, Cinsault, and many others. With this wine, I was hoping to find a bargain. It's on the lower end of the price range, at $30, and tastes like it. While it has the fruit and spice characteristics, it doesn't show a lot of depth and richness like many of the other wines costing $50-60. The logical question is "will this evolve with time?" While this is often hard to predict, the answer is probably not much. Although, it will develop into something a bit different after five years or more. If you're looking for a Chateauneuf you can get around $30, this is still a decent bet. However, if you're looking for a flagship Chateauneuf, you'll need to spend more. Either way, raise a glass! 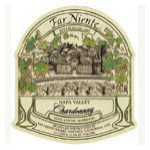 Wine presents with light Pinot hue with strawberry and light chocolate cherry bouquet with later pencil lead aromas. In the mouth, there is pleasant fruit with light strawberry and raspberry notes. It is simple, a little hot but drinkable. At the $14 price point, it is what you might expect. Raise a glass. Well, (NW) pulled out a whopper on this one serving me another blind surprise. This wine was obviously aged with an amber-brown hue and caramelized carrot aromas with an underlying baked fruit and maple syrup notes. In the mouth this rare treat had a very slight citrus rear presence with prunes accompanied by stewed apricots and a finish that lingers on and on. This wine was wildly sweet yet with the acid foundation to carry it with0out being cloying. That this wine was still potable after 28 years is phenomenal and a testament to the skill of then wine maker, Richard Arrowood, who would go on to found his own winery. This was an amazing adventure. (NW) paid $40 for this half bottle but the experience was priceless! Raise a glass! This rising star from Argentina has a rather spectacular bouquet of gentle peach and perfume. for a change from the usual whites you might be used to. Mature hue with some life to go; bouquet is cherry with a little earthy mustiness and a note of licorice. Palate--a bit out of whack (unbalanced), a mite tannic and a bit harsh. Flavors are tight and overall is just an austere wine with a finish that is a tad smokey. my assessment would have been that this was a Chianti from a less than stellar vintage but 1999 was actually quite a good year. This is just an average made wine with not much to commend it especially at $20. Pass. Amber/cola colored with sweet raisins and licorice on the palate with a decent texture and some finessed maturity. I guessed a Fonseca or Churchill Tawny Port and while I was thinking "10 year old" I didn't say it. He I can live with that so raise a glass--port is just plain relaxing and delicious! In Boston recently (NW) served me a surprise blind which means I am supposed to guess what it is. It's fun when you are close; it's embarrassing when you're not. This was the latter! My notes said the following: Garnet hue with some depth and a few years of age; boquet of cherries with slight licorice and sweet fruit. 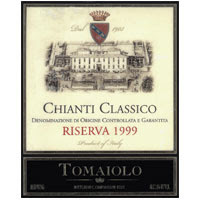 Palate: solid tannins, sweet cherry fruit, with a quick finish; an excellent wine perhaps a quality Chianti from the 2001 vintage. When (NW) revealed what it was I was ashamed; okay mildly embarrassed. The last Jordan Cab I remember was one of the best wines I had had to that time and that was back circa 1984. (NW) paid $50 for this puppy and we indeed raised several glasses--until it was gone! You can't win em all! This Tuscan red has a mature hue with an amber rim and a bouquet that is perfumey of cherries and sweet licorice with Tuscan fruit. This wine was fairly harsh and even with the tobacco notes and sweet red fruit and smokey finish it was disappointing at $16. There's better values out there! This Columbia Valley (Washington) Chard is a light golden with pear and vanilla notes. raise a glass at $13! Pale straw in color with almost no bouquet but a slight touch of cream is suggested. In the mouth it is off dry with nice structure that gives a subtle--very subtle--flavors with a lively (spritzig) presence. There is sweet cream flavor and the wine is a good palate cleanser. Gruner Veltliner is "the grape" of Austria and seems to be making a bit of a resurgence but with the upswing with Pinot Grigio and Albarino, it has its work cut out. Raise a glass.